Home » Dog Clothing » Dog Bandanas: Share Your Style With Your Best Friend! Dog Bandanas: Share Your Style With Your Best Friend! Last year, Americans spent a record $56 billion on their pets according to CBS News. This year that number is expected to reach $60 billion. While vet bills, food and other necessities are included in that number, you may be shocked to learn just how much we spend primping our pets. In 2014 $330 million was spent on pet Halloween costumes alone! We see our pooches as extensions of our own personal style. Dogs belongings to bikers tend to wear Harley Davidson collars, leather jackets and visor caps. Purse pups are dressed as accessories to their extravagant owners’ outfits, and can be seen sporting matching gowns and rhinestones. Most of us take a less extreme approach to mirroring our style onto our pets. Consumers have incredible options for collar, leash, and harness styles ranging from sports themes to interchangeable holiday motifs. Crafters have answered the demand for doggy design with an influx of dog bandanas designed to fit over your dog’s existing collar. Rather than purchasing a new leash and collar set to reflect our every style whim, we can choose a designer bandana instead. Dog bandanas aren’t just easy on your wallet; they come in virtually any pattern you can dream up. If the pattern exists on fabric, it can be made into a bandana for your dog! 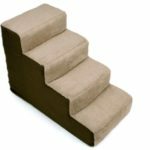 There are even online fabric shops that will create a custom fabric to your specifications. Do you want to support your favorite sports team? Show off your interest in classic cars? Maybe you want to display your passion for your favorite cause? (Dog Rescue, of course!) You could even have your logo printed onto colorful fabric and shamelessly use your dog to promote your business! The possibilities are endless AND economical. Some designers offer seasonal and holiday multi packs so your dog will always be on trend. Do bandanas come in several sizes, from extra small for teacup breeds, to extra large for giant breeds. Comfort and safety are perhaps the best reasons to choose dog bandanas to express your pet’s style. 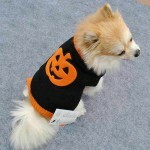 Costumes, dresses, pajamas and other overly designed clothing for dogs can present several hazards to your pet. Excessive fabric can become caught as your pet maneuvers through your home or yard. 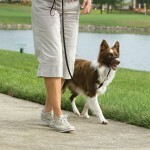 Intricate designs with zippers and pockets can pose a hazard if your dog gets a toenail or limb snagged in the material. It is not natural, and therefore uncomfortable for dogs to wear clothing. They already have hair or fur for warmth, and adding additional layers can put pets at risk for heat stroke and potentially serious injuries. Many of us see our pets as family members; we want to include them in the things that are meaningful to us. Just as we dress our children in styles that represent our personalities, we want to do the same with our pets. Choosing a dog bandana is a safe, fun and customizable choice for giving your dogs some stylish flare, and including them in the things that mean the most to us. «Dog Christmas Sweaters; Dress Your Pup With Fashionable Ugly Christmas Sweaters!